This is supposed to be the holly, jolly-est time of year, but honestly, the whole Christmas tree ornament thing is really stressful to me. So stressful in fact, that in the past seven years we have put up a tree only twice — yes, TWO times. I realized this year that the problem is that I have way too many ornaments and while it was sort of fun to decorate the tree as a family, no one wanted to un-decorate so I ended up stuck with a couple of hours of work trying to wrap every delicate tiny decoration, pack them up and put them away. Then I wanted to take a Prozac — or twenty. This year I decided to take action. My first step was to declutter my enormous ornament stash. I’ve had most of the ornaments so long I don’t even remember where they came from, but none of those pictured above actually mean anything to me — so why have I been holding on to them for so long? 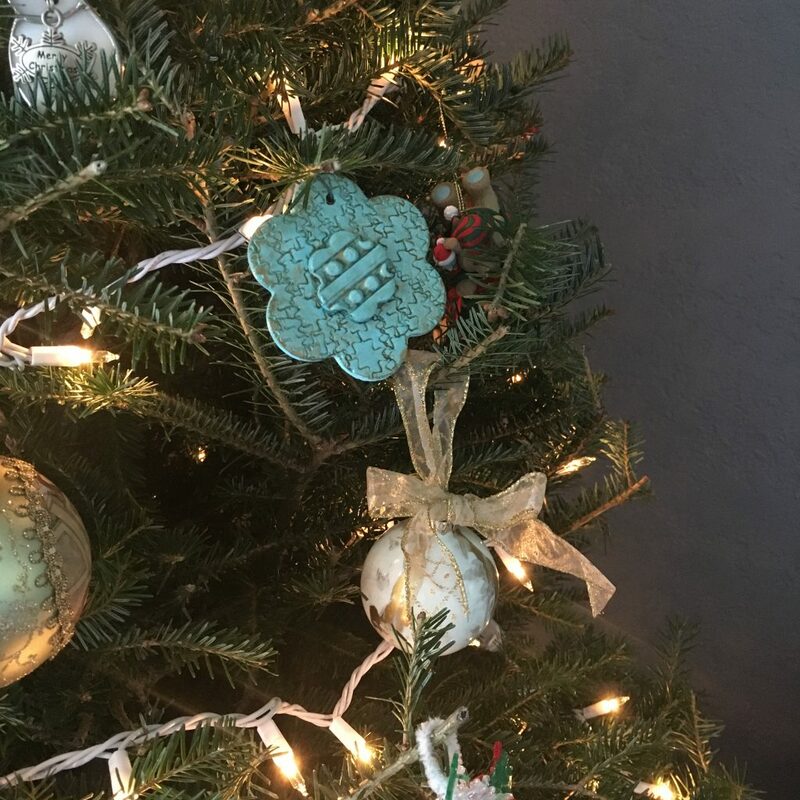 Each of those ornaments in the photo will be delivered to the thrift store this week so that they may find new homes where they will be loved and cherished — or at least enjoyed more than they will be at our house. My next step was to find some ornament storage that actually makes sense. 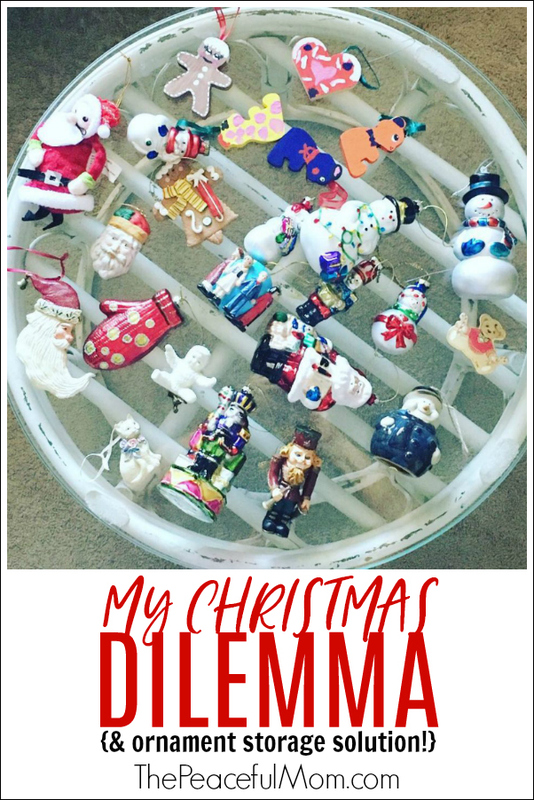 I found these Christmas Ornament Storage Containers and immediately purchased them. Yes, it was an investment, but my sanity is worth it! 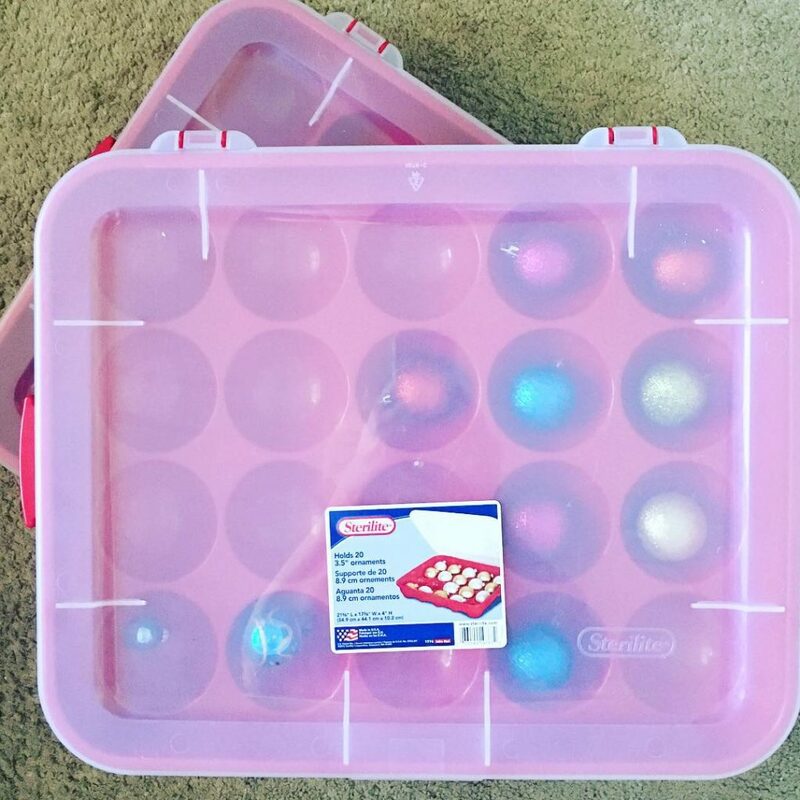 Now instead of wrapping each ornament individually and stacking them all in one large plastic bin, I have containers with individual compartments so I don’t have to wrap anything. And now I have a tree with ornaments that I love and which have significance to me. Are there some open spots on those branches? Yep. But that means that you notice the ornaments that are there like the two shown above that my mom made for me. I feel so loved and happy when I look at them. And more importantly, when January rolls around, taking the decorations down won’t require a week of therapy sessions. . just sayin’. Thanks so much for this post! When I was searching through our ornaments last week, I realized that I need to find better storage containers. I think those containers might just have solved part of that problem. Hello Kimberlee, I am so joyful that you will be stress free after Christmas puting away ornaments. I have needed to go thru my ornaments for the last several years, to find a nice sunny summer afternoon to go thru 4-20 gal totes and several boxes, I have them in somewhat scattered theme categories(gold, red and white, miscellaneous) ….thank you for your encouragement!! P.S. I live in the country, no one sees my deck .. so I keep the totes on the deck all year round., so storage is no problem. Well I gave thought to my boyfriend’s question 20 years ago; What has Santa Claus and Christmas tree to do with Jesus? And I think Christmas is way to commercialized and its just for stores to make a lot of money on everything related to it. And its a lot of work putting and taking down all the decorations, so why do we need to add all this burden to our lives? We just stopped doing it. Then at my neice’s house the large Christmas tree in the corner and the gifts spread to almost half the room in double to tripple layer, the kids sat in a semi circle to recieve their gifts and they were no longer interested in what was even in the package, they just wanted another to open. I really dont een want to participate at all. There was not even a mention of Jesus! The kids delighted in all kinds of Harry Potter stuff instead. Is the grinch for hire? Yes, the commercialization of the holiday has caused some problems. 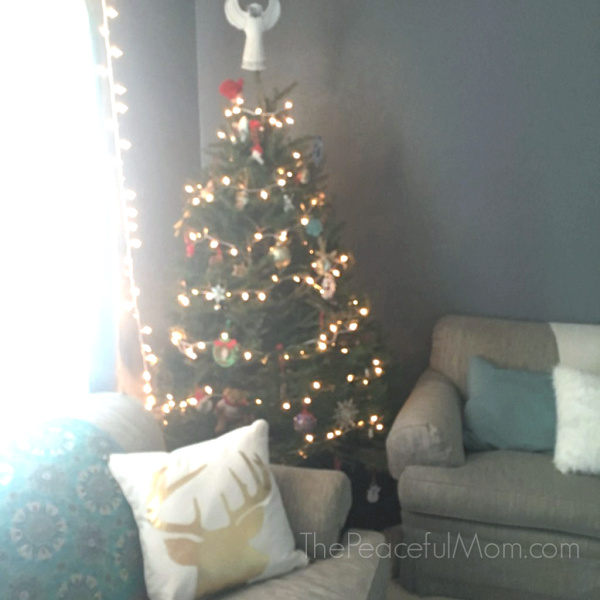 My kids really wanted a tree this year, so I made it happen, but I have been quite happy to skip it all of the years that we have not decorated one. Get a couple of cats then you won’t need a tree or ornaments because they will climb the tree then play soccer with the ornaments…problem solved!! 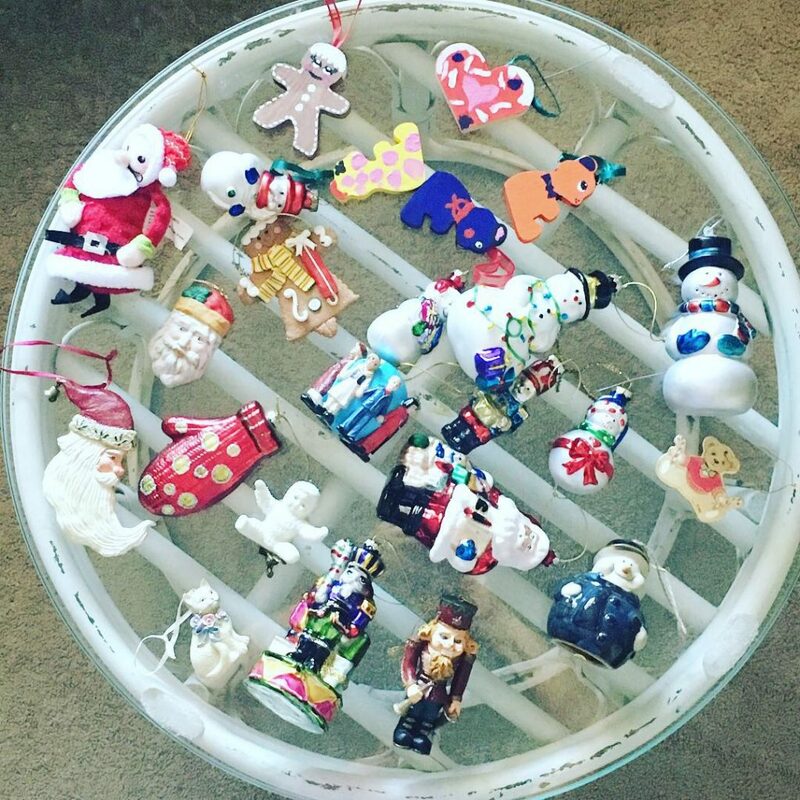 My problem, after an unwanted divorce, was what to do with the ornaments we made/bought together. The heart shaped felt with our initials I made when we were both 20, 30 years ago? I have hidden it for now under other stuff. It’s hard. I can’t get rid of it yet it feels like a knife to my heart. I’m so sorry that you are having to deal with that Laura. I pray that God will comfort your heart and help you to deal with it when it is time.